Rosetti Development Companies is an established real estate development company in the Capital District and Albany, New York. Formed in 2013 by Real Estate Developer, Rich Rosetti. The privately held company in Latham, New York, owns and operates a premier portfolio of high-quality assets valued at over 50 million dollars, consisting of a diverse mix of real estate including residential and commercial properties. Our operating portfolio includes over 200 luxury rentals, 200,000+/- square feet. Rosetti Development Companies sets the standard in the marketplace for excellence in the real estate industry. Rosetti Development Companies and our subsidiaries have the resources to create the ideal office space for your growing business or provide the perfect residential rental for your family. Our staff includes licensed real estate brokers, interior designers, and on-site property managers and with combined office and retail space and 150,000+/- square feet of warehouse space Rosetti Development Companies truly does it all. We are continually adding to this portfolio with new projects and redevelopment sites. Rosetti Development Companies has developed all of our properties to ensure the high-quality standards that you have come to expect. The company’s dedication to quality through a portfolio of well-designed properties attracts those who appreciate fine craftsmanship, innovation and commitment to long-term occupancy. In addition, we provide a diligently maintained management platform to ensure that the expectations of our residents and commercial tenants are continually met. Given our unique position as owner, developer and operator, we have become the premier real estate development company of the Capital Region. Rosetti Development Companies’ portfolio includes prime retail locations along the Route 7 corridor (Troy Schenectady Road) in Latham, as well as, Route 5 (Central Avenue) in Colonie. The former Bowler’s Club in Latham, New York has undergone a major transformation and has been re-developed into Plaza 7 Commons, a prime retail site including high-profile tenants, such as Starbuck’s and Chef John LaPosta’s Innovo Kitchen restaurant. 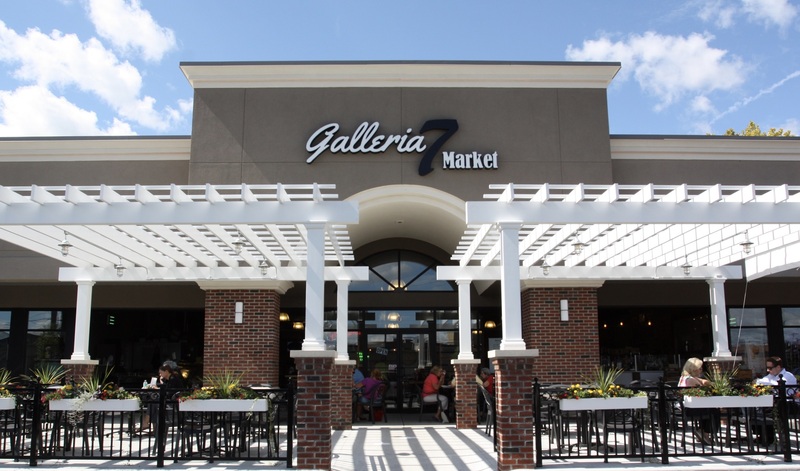 Located within Plaza 7 Commons is the Galleria 7 Market, a curated open-air food market experience cultivated over great food. Our portfolio includes over 90,000 square feet of retail space, pad sites and retail business. Expanding, relocating or just looking for a more professional image for your company? Rosetti Development Companies’ portfolio of office buildings has the space to fit your needs. Over 50 million dollars in high-quality properties. Expanding, relocating or just looking for a more professional image for your company? Rosetti Development Companies’ portfolio of office buildings has the space to fit your needs.